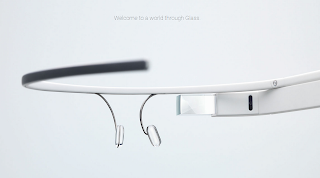 Google Glass has become a very controversial and exciting product, fueled by Google's #ifihadglass campaign on Google + and Twitter. In the latter part of March 2013, Google chose a few thousand people to be "Glass Explorers" who could test out their latest project. These testers have to go to a location where they can pick up this innovation - but they have to pay $1500. You're probably wondering how Google will find out about the sale. Well, each Glass has to be connected to a Google Account, so if it's transferred, the device will be deactivated. You could potentially make another account to share, but Google will probably register it to an email beforehand. Chances are that Google has some other tools hidden under their belt either way. This is probably one of the first times we've heard of something like this, but it could have been due to the recent sale of an AMD Radeon HD 7990 engineering sample (pre-release) on eBay, which after 104 bids, went from a start price of $0.99 to $96,100.